Hina Khan is making people crazy with her Nikka swag. Kasautii Zindagii Kay features Erica Fernandes and Parth Samthaan in crucial roles. 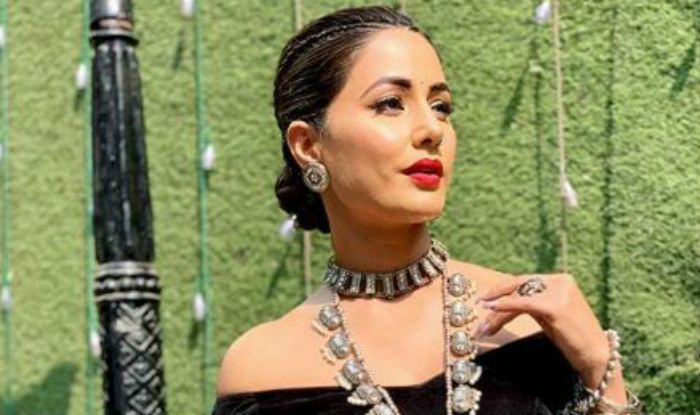 Television actress Hina Khan, who is known for her acting talent and perfectly toned body, keeps giving us insights of her workout regime. Lately, she took to Instagram to share a video where she is seen working out on her abs and shoulders in the gym. Dressed in a black tank top with peach shorts, she has accessorised her look with sports shoes and gym gloves. Well, the video will definitely motivate you to hit the gym right away. Sharing the video, she wrote, “Rise”. Recently, she has met superstar Aamir Khan and became the part of a special show which will be aired on January 26. Dressed in white floral attire, the lady looked amazing. With minimal makeup, she kept her hair open. It is quite evident from the pictures that Hina is Aamir’s ardent fan. Hina took to the social networking site Instagram to share the pictures. She captioned it as, “Life may appear to us as if it’s a mere journey from point A to point B. In this journey sometimes we face unrelenting hurdles, heart sinking tragedies and the very common human urge to avenge their loss.